My Simple Obsession: Round One Voting and NEWS! 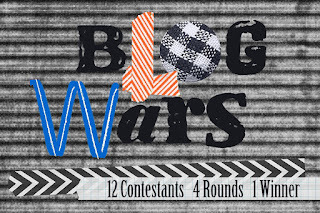 I submitted my project to Jonie at http://just-between-friends.com to the round one of Blog Wars. I'm so terrified. All the projects are so amazing. It will be hard for everyone to pick their top 3. I can't even decide! Hopefully you guys like mine. Even though I can't tell you which one is mine or offer any hints. All in all, it was so much fun creating my project and hopefully I am able to move on and keep processing out my ideas using all the amazing products the lovely sponsors have sent us to use. In other words… If you follow along on our Facebook page most of you already know this. But for those that just subscribe by email or other ways……. I'm 16 weeks along and finally feeling wonderful! I've been so sick the first trimester I wasn't able to do much of anything, even CRAFT!- I know right! I even had to shut down my shop for the time being, a whole 3 months! But now, I'm able to keep food down and my weight is going back up. Hard to believe I lost 10lbs the first trimester, but it's common with me. With AB I lost 14lbs. I will be giving updates on my pregnancy as time goes by. Later this weekend I will start my first ever pregnancy post! YAY! You will get to hear all my cravings, clothes shopping for maternity, and each week I will ask AB what she feels about baby becoming apart of our family. I'm also a high risk pregnancy and will get into that all on the post. I'm sure tons of ladies can relate! Well that's all the news I have for now! But get out there and vote! Just follow the link below or click the picture above! I'm Going to VOTE for my Top 3!